IEC deputy spokesperson on Tuesday announced that Hawa Alam Nuristani and Esmatullah Mal have been appointed as head and deputy head of Independent Election Commission respectively. Meanwhile, election commissioners were sworn in yesterday in an inauguration ceremony held at the presidential palace. Previously, Habibul Rahman Nang, a representative of civil society, was appointed as head of secretariat of independent election commission (IEC) under a decree by the president of Afghanistan. The army in northern Afghanistan reported that 29 Taliban insurgents including four commanders were killed in Faryab and Jawzjan provinces. 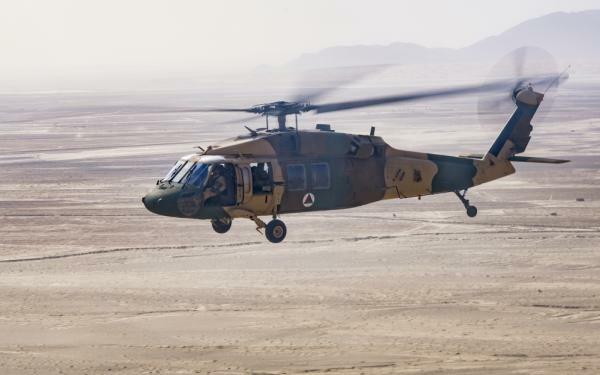 “As a result of a special air and ground operation last night in Mimlak and Qaichan Afghania areas of Faizabad district of Jawzjan province, 22 Taliban insurgents including Mawlavi Zarif and Mullah Nooruddin, two key Taliban commanders for Faizabad district were killed and 16 others were wounded,” said press office of 209 Shaheen Corps. The press office further added that, as a result of air strike in Arkalik village of Qaisar district of Faryab province 7 insurgents including Mullah Musa and Mawlavi Ismail, two prominent Taliban commanders for Dawlatabad district were killed and 5 others wounded. Pakistan has vowed to enforce decisive crackdown on extremist and militant organisations in the country. “The action would soon be visible as things progress,” a source told a group of journalists at a background briefing on Sunday, as per Pakistan’s Dawn. 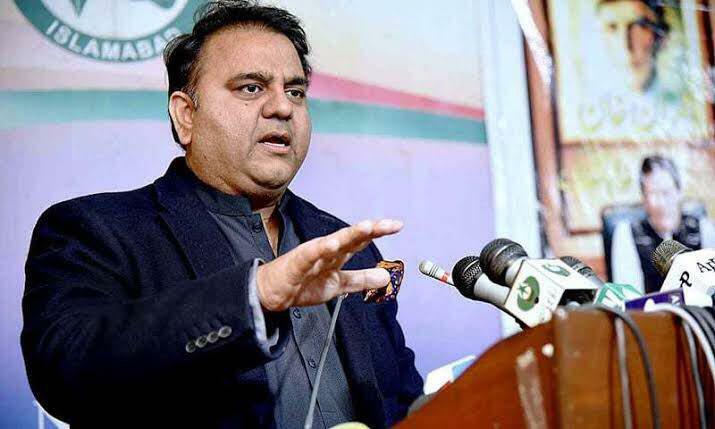 The possibility of an action against extremist groups was confirmed by Information Minister Fawad Chaudhry while talking in DawnNews programme Do Raaye. He said the government had taken a firm decision that there would be a stern action against all militant groups. This, he said, was in accordance with the political consensus contained in the National Action Plan (NAP). Although sources have denied that this recent show of commitment by Pakistan is due to the pressure mounted by India, Afghanistan and Iran, it is being suspected that the recent tough messages delivered by the three regional neighbours of Pakistan may have influenced this new NAP. The information minister refused to give any timeline for the operation against militant groups like Jaish-e-Mohammad (JeM), who is accused of masterminding the Pulwama attack that triggered the latest crisis with India, and Jamaatud Dawa (JuD) and its charity wing Falah-i-Insaniat Foundation (FIF). Chaudhry said that the timeline was something for the security forces to decide. Security officials reported the death 21 Taliban insurgents including three commanders in Kunduz province. 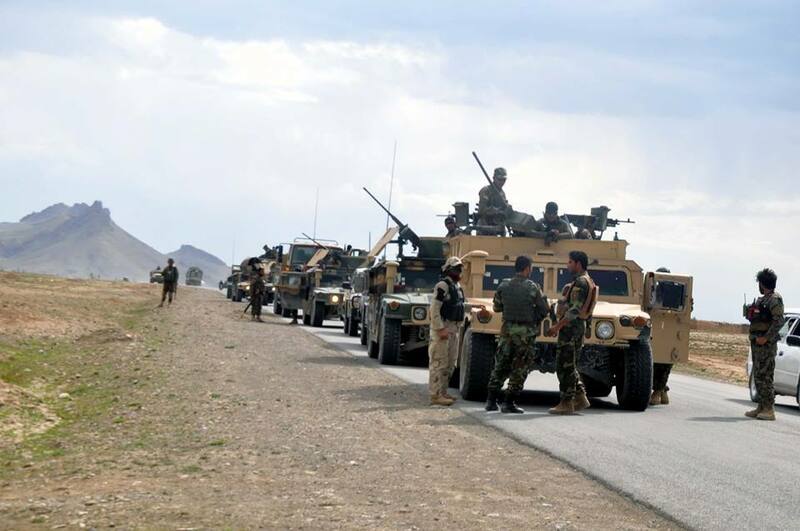 As a result of air operation and artillery firing by army in Imam Sahib district, 21 Taliban insurgents were killed, the ministry of defense announced. The statement also added that 13 other members of the group were also wounded in the operation. 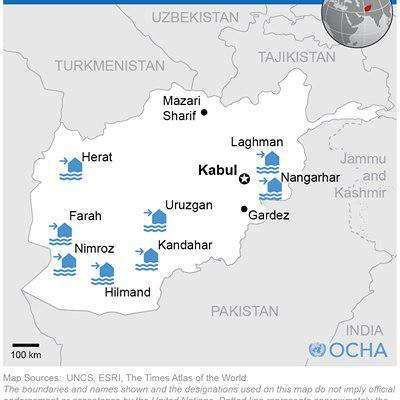 Due to recent floods and snow fall in 19 provinces of Afghanistan, 59 persons died and 143 more have been injured, informed Najib Aqa Fahim, state minister in natural disaster management during the meeting of disaster response center for assistance to flood affected people of Farah and Kandahar province. He further added that 1,000 homes were completely destroyed and 2800 other homes were partially damaged. Mr. Fahim mentioned that most damages have been incurred in the provinces of Kandahar and Farah, and a large number of homes have been demolished and people were displaced who need urgent assistance. State minister in disaster management said that in Kandahar, 967 families in the center of city and 600 families in the districts were displaced. The health teams, provincial committees’ officials along with governors of Kandahar and Farah went to the area to help the people. Dr Abdullah Abdullah, chief executive, while emphasizing about acceleration in transformation of aids and resource mobilization, said that the state ministry in natural disaster management and provincial committees, including government related institutions should mobilize all their resources and facilities to the affected people. Meantime the officials of these institutions said that based on direction of chief executive, a delegation with 15 million cash went to Farah province to address the problems of the people. In addition to that, 500 families were given food, tents and blankets. The state minister for natural disaster management said that 178 million was allocated for assistance in emergency situations by chief executive but the ministry of finance has not yet transferred money to the ministry’s budget. The Chief Executive has also directed the Ministry of Finance to provide this amount to the state ministry in disaster management by the end of this week. 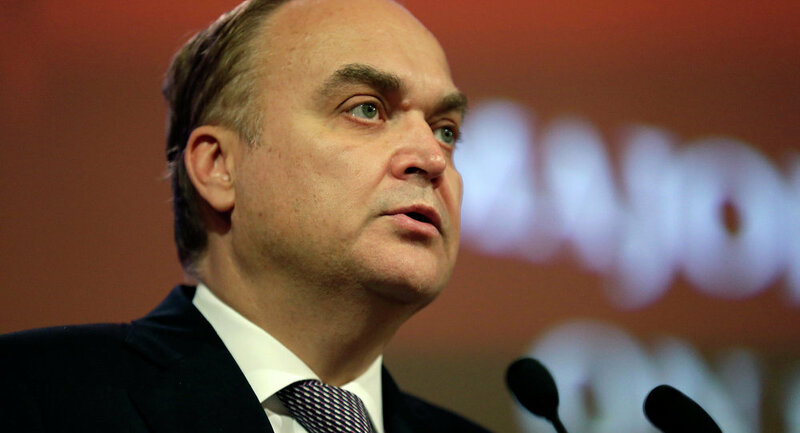 Russian Ambassador to the United States Anatoly Antonov said at the Stimson Center in Washington, DC that it is important for the United States and Russia to cooperate on the settlement issue in Afghanistan. “Afghanistan, it’s really important for us to cooperate together,” Antonov said on Monday. This comes as US-Taliban talks are on in Doha, with the US Special Representative for Afghanistan Reconciliation Zalmay Khalilzad describing the talks as “productive”. The previous round of the US-Taliban talks in January resulted in a framework for a future agreement under which the radical movement is ready to guarantee it will not harbor al-Qaeda terrorists (banned in Russia) in Afghanistan in return for ending US military presence in the country. 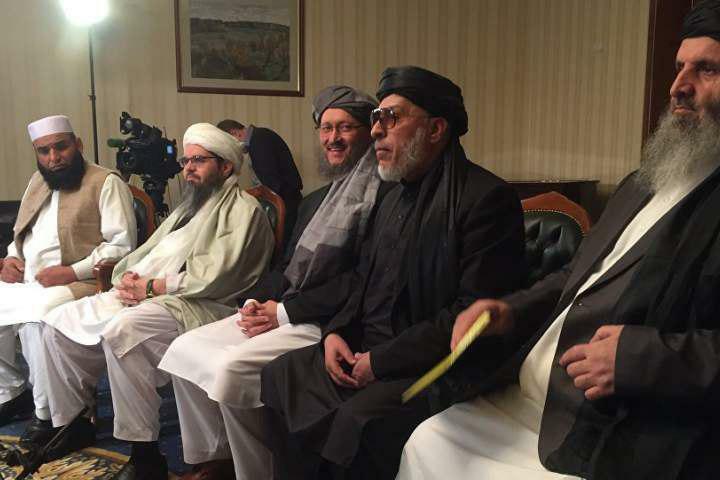 On Sunday evening, the Taliban issued a statement, saying that the talks in Doha are progressing gradually due to the “crucial and delicate nature of the issue”. “The current round of talks in Doha are advancing on a step-by-step basis. As the issue at hand is immensely crucial and delicate, its progression is taking place with that much care and vigilance. The talks in January saw an agreement regarding the withdrawal of ‘occupying’ forces and preventing Afghanistan from being used against others, but this round of talks is about the details and nature of these two issues,” the Taliban said in a statement on Sunday. US officials and the Taliban representatives in their latest rounds of talks in Doha have reached on some agreements on the workings of the foreign forces withdrawal from Afghanistan and the terror group’s word that Afghanistan’s territory shall not be used as a threat against other countries, Taliban sources told TOLO News. There is a possibility that the negotiations will extend, the sources added. Presidential Palace, on the other hand, said that the final agreement on any topic relevant to peace will be determined by the Afghan government.